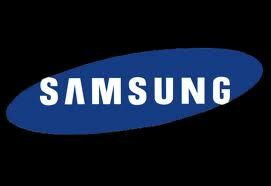 The Samsung Galaxy Note 8.0 will be unveiled at MWC 2013 at the end of February according to certain reports surfacing recently. The Samsung Galaxy Note 8.0 will be an 8 inched tablet, as the name also implies and will come with S-Pen functionality. SamMobile has gotten hold of the details about Samsung Galaxy Note 8.0, the latest tablet to hail from the Korean company. The source of the details in not disclosed, but given the previous record of SamMobile we are rather confident that the details will be at least somewhat true in nature. As a precaution let’s not get too excited though, just to be on the safe side. The source suggests that the Samsung Galaxy Note 8.0 will be an 8 inch tablet with Super Clear LCD display boasting a resolution of 1280 x 800 pixels. The tablet will come with 2 GB RAM, a 5 megapixel rear facing camera and a 1.3 megapixel front facing one. The Samsung Galaxy Note 8.0 will be housing a 2,600 mAh battery and will come running Android version 4.2 Jelly Bean. The mysterious source also says that the Samsung Galaxy Note 8.0 will come in variety of flavors. 16 GB and 32 GB models will be available along with 3G connectivity integrated within. The Samsung Galaxy Note 8.0 is also been termed as GT-N5100 as the full version and GT-N5110 for the Wifi only model. The Samsung Galaxy Note 8.0 will be weighing around 330g making it a little heavier that what Apple’s iPad mini weighs. We really don’t have any kind of confirmation about the existence of the tablet from Samsung. And we won’t be too much surprised if the Samsung Galaxy Note 8.0 skips the MWC 2013 at Barcelona. We will keep you posted about further developments.